-Will this be the final meeting & session before the 2019 Elections? 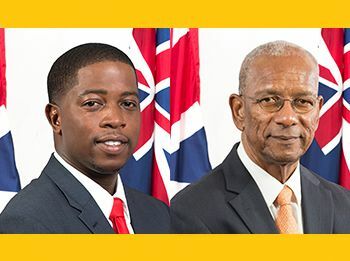 All eyes will be on this particular sitting, as it could be a marathon session with Bills, a long list of questions, long speeches and a resolution to rename the Peebles Hospital in honour of Premier and Minister of Finance, Dr The Hon D. Orlando Smith (AL). While many believe another day will have to be scheduled for the continuation of the same sitting, Tuesday is forecasted to be the beginning of the end of the Third HoA. The now infamous BVI Airways, in which the Dr Smith led Administration wasted $7.2M, still has no airplanes and no flights and this will again be a topic of discussion. Second District Representative, Hon Melvin M. Turnbull aka ‘Mitch’ is set to pepper Premier, Dr Smith—who is also Co-Leader of government business—on the BVI Airways topic. He will ask for the names of persons involved in the negotiations of the $7.2Million BVI Airways Agreement. The first term member wants, International/Regional Names, Positions and Company Affiliation, as well as Local Names, Positions and Company/Governmental Affiliations. Hon Turnbull of the Opposition Progressive Virgin Islands Movement (PVIM-NDP2) also wants the outgoing Premier to say where are the two planes that were purchased using taxpayer’s money and who currently owns them. “How will the BVI benefit from planes we don’t have?, Why hasn’t he [Premier] updated the people of the Territory on the status of this agreement?, When [does] he intend to account to the people of the Territory for the seemingly unrecoverable $7.2M?,” are amongst questions the now Opposition Member, Mr Turnbull will push towards the Co-leader of the NDP 1 Government; a party Hon Turnbull was aligned with less than six months ago. Over the years, political pundits have accused the National Democratic Party (NDP 1) of recklessly spending taxpayer’s funds, conflict of interest, victimization, emptying the national purse, UK takeover of the Territory, allegations of corruption and bringing the HoA into disrepute. We want answers!! You guys will be crazy to vote in ndp 1 again! I personally concluded because of the players involved with BVI Airways: I also personally assume because of the people involved with the that park project, both matters are stalled from being published...the dollars being quarried in the wall project is Minuscule in contrast to 10mil for planes likewise the 30mil for the wickhams cay project....is the police department charge with following up on the smallest sums of money first then moving forward to the bigger picture..my personal question: will the people of this territory ever see these millions: will anyone do time up the ghut...people goes to jail for a stick of marijuana(just says...justice justice justice!!! answers its too late now we want them all gone!!!! @ facts: crime & punishment: questions and answers to questions(waste of valuable time) Scotland Yard(2 words)....Punishment!!!! The flinging of $7.2M at BVI Airways, a bruk, bankrupt and defunct, was not an action that had the due diligence needed. This decision/action lacked effective stewardship of taxpayers resources. The taxpayers shelved out $7.2M but to date has gotten didly swat. That $7.2M is needed now to address a myriad of national needs, ie, repairing roads, fire stations, other government facilities, police stations, ports.......etc. Did the taxpayers $7.2M go to buying two planes? Why would taxpayers buy 2 planes to give to someone else to operate? Was the $7.2M disbursed to buy assets or subsidized operations? Why was the $7.2M front loaded instead of being disbursed over the 3 years? Should not the partial disburment of the $7.2M have been performance based, ie, starting and continuing operating of a non-stop flights from MIA to EIS twice a week for 1 year..........etc? 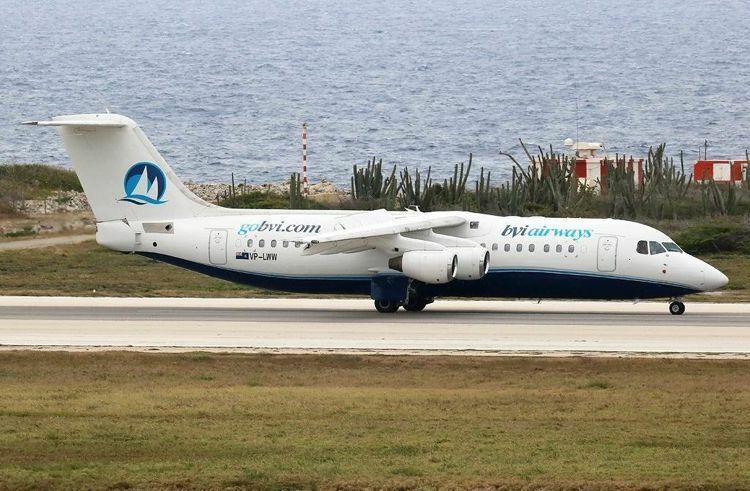 Did BVI Airways rolled the government for $7.2M? Is the $7.2M retrievable and if so what action is being taken to retrieve it? Will taxpayers earned interest on their $7.2M? Did the HOA vote to authorize and appropriate the $7.2M and if so what was Hon Turnbull position? Should not a commission of inquiry be launched? Leave those questions for Andrew to ask please because you was there and didn't said nada. I guarantee you if they had given that 7.2 million to the Bratwaits AirLink to buy 2 planes, we would have at least known where the darn planes are. I sick of this NDP Government.